I’ve been really getting my make up game on point recently and I’ve been loving discovering and trying out new products too! I’m not a MAC enthusiast but every now and then I find myself biting the bullet and purchasing one or two items from there. In this post I wanted to show you some new items I picked up as well as one old faithful that I picked up some time ago. I knew I had to have this after seeing so many people pair it with Ruby Woo (one of my favourite lippies) for a dramatic red lip. Nightmoth is a very unique colour but I believe it should be a staple make up item for all of those who love a red/deep berry lip! The colour itself is a deep burgundy wine colour, at first the colour looks daunting but used in the right way, it is ever so wearable. The consistency of this MAC lip pencil is great, it is super easy to work with, soft to apply but not messy, it is also VERY pigmented. This makes it great to use as a lip colour on it’s own. I normally pair this either with Ruby Woo (as a liner), Coloured Raine’s Plum Fairy (seen HERE) or as a liner with any pinks or purple lipsticks that are too light for my complexion. 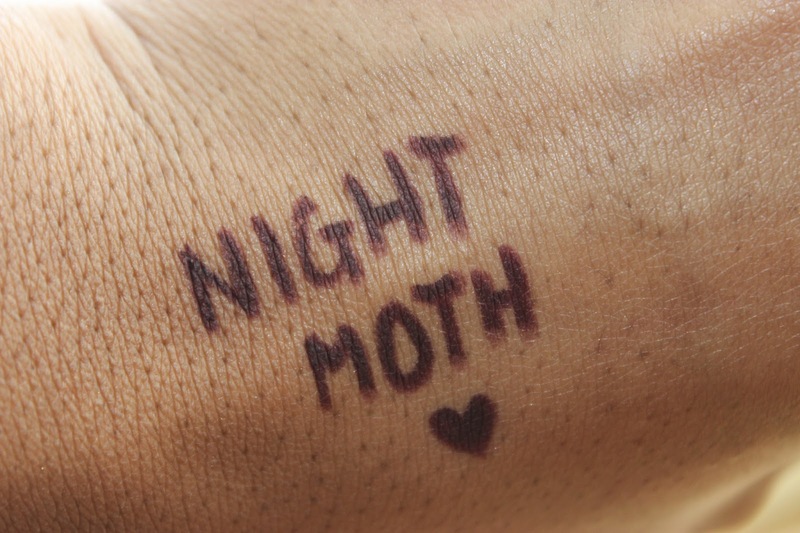 If you’re a fan of Lorde’s lip colour I would definitely recommend adding Nightmoth to your lipstick collection. From my latest trip to MAC I picked up two products I have never previously tried before. 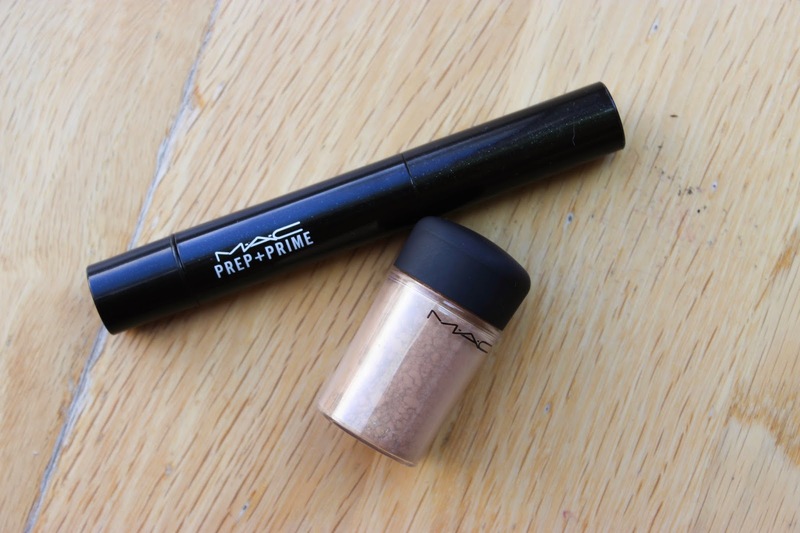 Firstly I picked up the MAC Prep + Prime Highlighter in Peach Lustre. 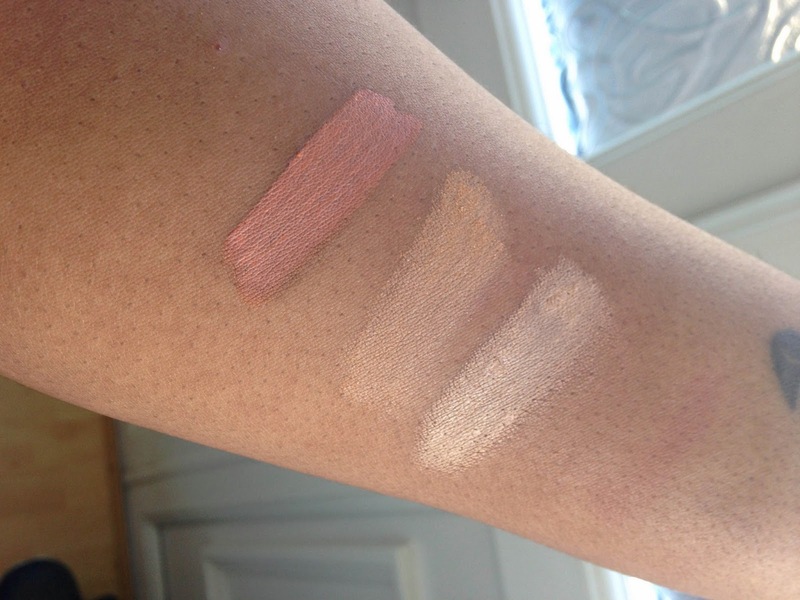 I had heard so many amazing things about Light Boost and Radiant Rose but I had decided that this would be far too light for my skin tone, so when I saw that MAC had bought out a peach toned highlighter I was excited! If you’re not familiar with the Prep + Prime Highlighters, they can be used in a similar way the YSL Touche Eclat highlighters. They are also set up the same way as the YSL highlighers however instead of a button at the base, the MAC highlighters have a twist. Now, I expected great things from this as a highlighter but I have to say MAC advertising this as a highlighting product is quite misleading. From my own personal observations I believe Peach Lustre is a creamy peach colour corrector. I tried to use this as a highlighter and I got NOTHING, absolutely nothing! BUT after seeing Iris Beilin use this as a corrector I decided to follow her lead and use it the same way. This is when I started getting somewhere! The product itself is pigmented enough to mute out dark spots on my face which is ideal for me as I have quite a lot and being quite fair skinned these are evident on first glance. 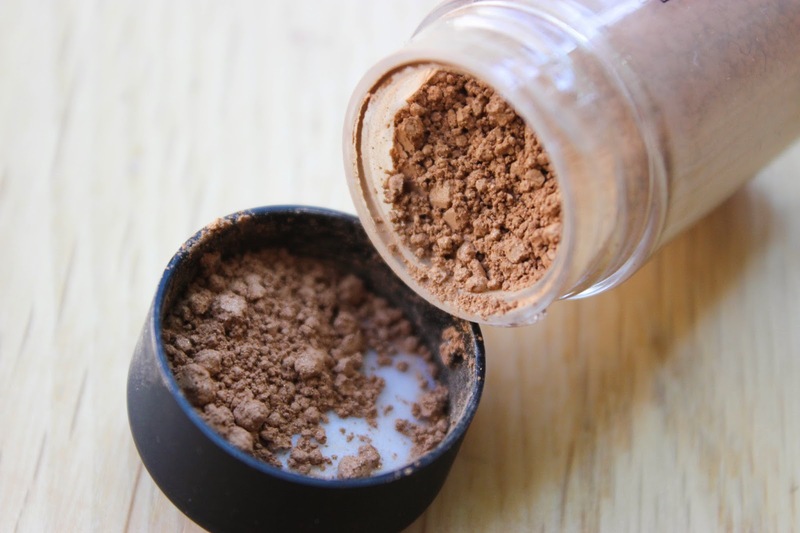 It is also very easy to apply and quite lightweight considering it’s pigmentation, it blends very well (a beauty blender’s dream) but my only gripe is it can be quite slippery so make sure you set it with powder, if you’re very oily skinned you may want to stay away from this product. I also picked up my first ever pigment from MAC! I had always had my mind on Naked pigment as so many Youtuber’s had said nothing but good things about it however upon visiting a PRO store I realised that Naked isn’t the only Naked pigment around. PRO stores also hold Naked Dark and Naked Deep Dark. After swatching Naked Dark I knew I had to have it! 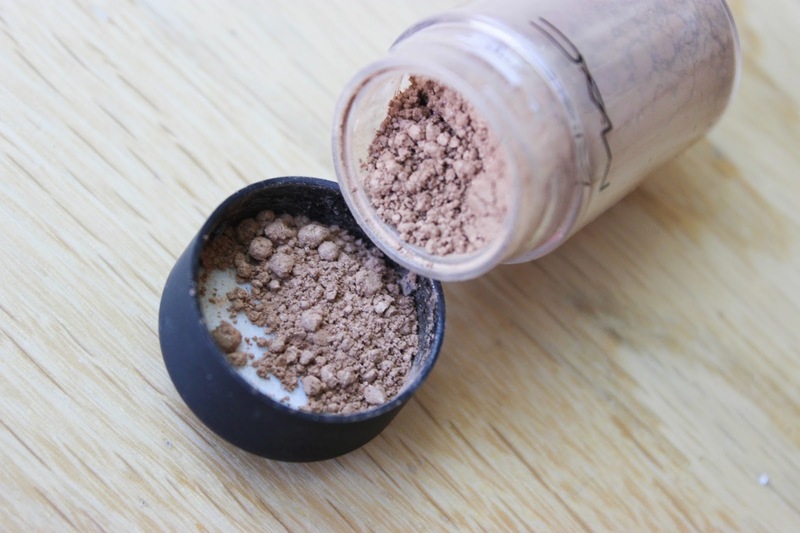 A gorgeous soft shimmery beige that works just right on my skin tone. At first, the colour can look ashy but once blended in the shimmer really goes to work and replaces the ashy look with a gorgeous glow! I really am a fan of this pigment! My favourite way to wear this pigment is to apply a good wash of it over the lid, apply a brown crease colour and black winged liner, paired with red lips, you have a winner my friend! 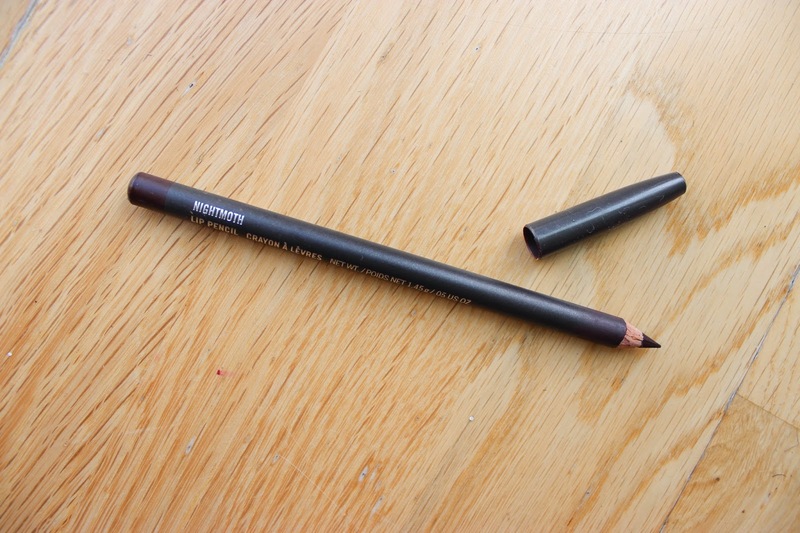 A great every product for everyday use as well as for that brow- bone highlight too! As pigments go, you can either use them wet or dry, the following picture gives you an idea of the tone you get when use dry or wet. Dry Naked Dark is a light beige, unfortunately you cannot see the shimmer (it is so understated) but you can see how the true tone of the pigment. I’m pretty happy with this MAC haul. If I could I would shop there everyday but alas, my funds! I don’t think there’s anything wrong with saving MAC for a treat once in a while! Do you have any of the Prep + Prime Highlighters or Pigments? What do you think is a good MAC must have? The irony, I've been on a search for a Peach Color Corrector, and I've finally purchased this today! I am in love! It is definitely a color corrector for me as well, not much of a highlight! I am in heaven! Great post!